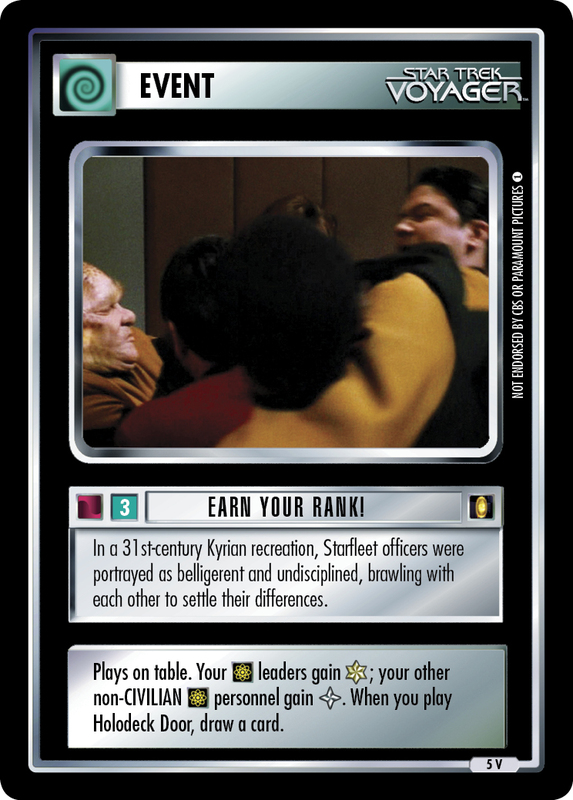 In a 31st-century Kyrian recreation, Starfleet officers were portrayed as belligerent and undisciplined, brawling with each other to settle their differences. Plays on table. 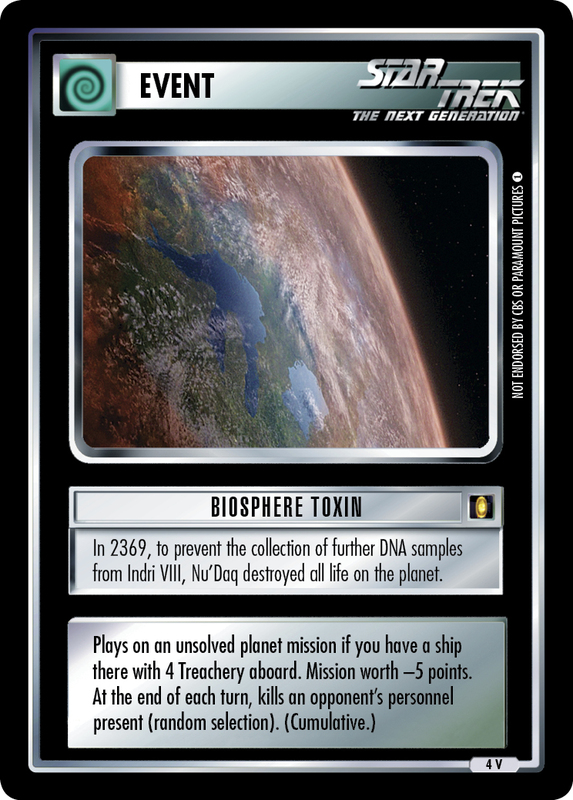 Your leaders gain ; your other non-CIVILIAN personnel gain . 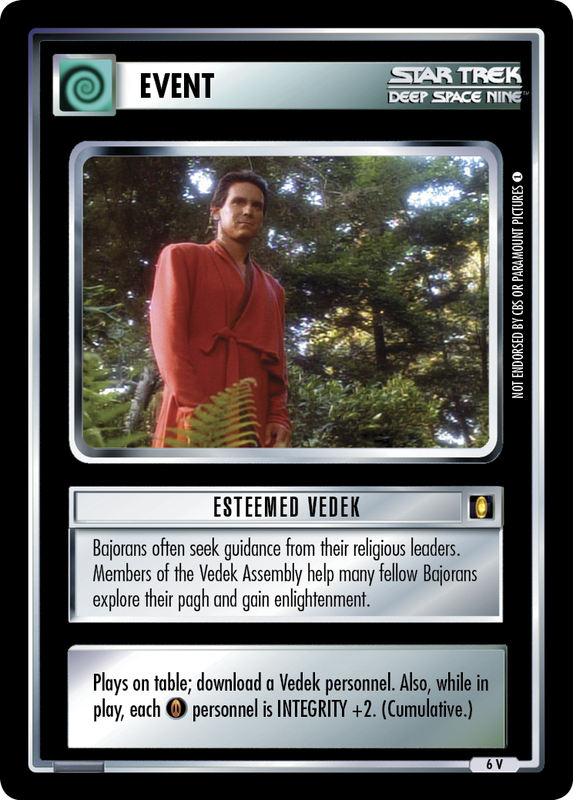 When you play Holodeck Door, draw a card.